Your donations decorate the tree with ornaments and presents and may be made in memory of or in honor of a person or a dog. To donate and help dogs in need, click here , or on Tree of Hope below. In honor of our precious Maggie (aka Waggles adopted 2010). Shannon K.
In loving memory of my Golden angels, Benny, Chloe & Gus. Georgia L.
In fond memory of Lucky Kleffen who was a noble and faithful companion to our friends, Kurt and Barbara. Jan E.
In memory of Abby, Molly Remington and Bear. Carlene W.
One tree in memory of sweet Gracie and one tree for our newest fur baby Sage. Thank you NTGRR for all you do for these amazing goldens. Sharon L.
In honor of two special boys, Max and Petey, and in memory of my first Golden, Benji. Jennifer W.
In memory of Bo. John H.
In honor of my two GRRNT girls, Chloe & Daisy. They bring us so much joy each and every day! Kelsey P.
To my Dodger Elvis, We really miss you. Lynn A. In memory of my sweet Grayce...forever in my heart! Sally H.
In honor of my special Sadie (adopted in 2011). Sally H.
In memory of our first Golden, Jenny Ridge. Her sweet soul was why we fell in love with the breed. You are in our hearts, always! Christine W.
To the GRRNT volunteers who care so much for the forgotten Goldens. Jill P.
In loving memory of Chief, Jackie, Buddy, Sunny, Gus and Lola. Rhonda W.
In memory of Dr. Jonathan Himmelhoch - a lover of all animals. Julie J. In loving and grateful memory for our life with Buster, 2001-2017, adopted from the DFW Golden Retriver Rescue. Donna H.
In memory of my husband Bill who passed away last year. Florence M.
In honor of Raffy, beloved member of the Levitan family. Kristen M.
Merry Christmas to all at GRRNT. Robert D.
In memory of our sweet Allie “boogies” Magers. 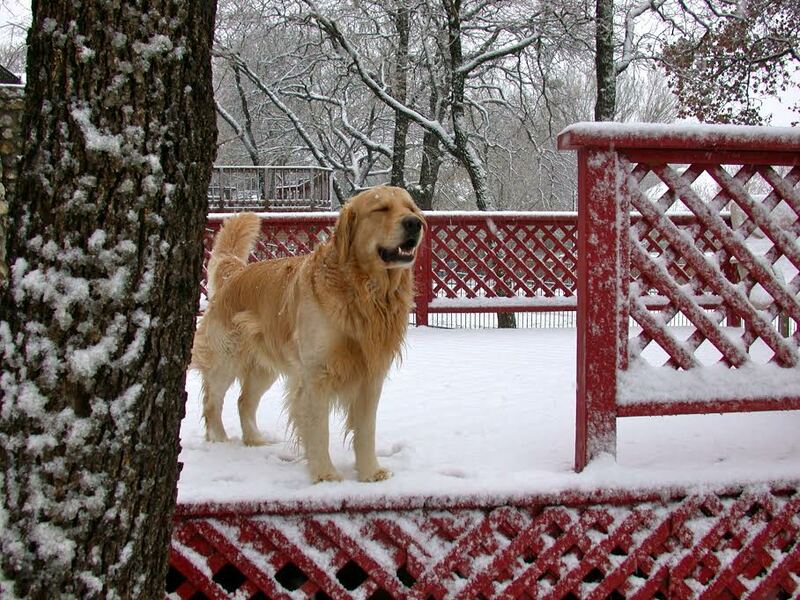 Heather M.
In memory of our 2 beloved Goldens, Frisco and Bosley. Teresa H.
In honor of our sweet Oscar whom we received from GRRNT in April of 2017. Teresa H.
My very dear friend, Susie Clark, rescues many Goldens, which I believe you find loving homes for. This ornament is for her Hannah and my Todd, who were Goldens that we ourselves lost. Susie is out there almost every day, speaking for those who cannot speak for themselves. Thank you for taking these loving puppies and dogs and giving them a second chance in finding their furever homes. Merry Christmas. Debra A. In memory of all my beloved Goldens: Duffy, Cody, Tucker, Derby, and Chamois. Now, my sweet GRRNT Jessie is a gift to me every day. Karen D.
In memory of Jake, our magnificent golden, our "little man". Pei K.
In honor of our boy, Duke, adopted from GRRNT in 2014. He's such a sweet soul and everyone falls in love with him as soon as they meet him! Amy P.
In honor of our sweet Savannah, who we miss every day. Amy P.
In honor of our current GRRNT angel Lexie and in memory of Marigold and Olivia. Amy S.
In honor of Chloe and Jessie. Thomas C.
In honor of Sharron Schmitt who is the most wonderful person we know! 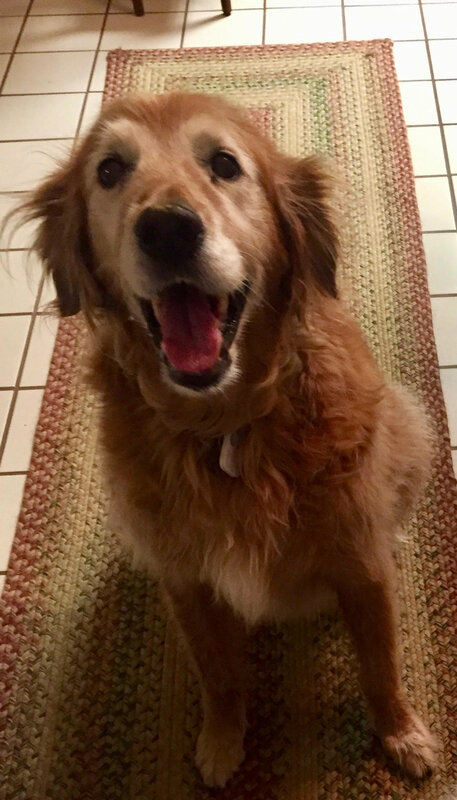 Goldens and people alike are so lucky to have her in their lives. Brooke L.
In memory of our sweet Hank -- we miss you so. Rhonda T.
In memory of Samson and Bailey. Troya T.
In loving memory of our earth angel, Rosie. Felita D.
In honor of "Milo" adopted in 2004. Keith W.
In loving memory of our sweet boy 'Cap'. We miss you so much. Andrew W.
In memory of Siena, Abbey, and Celia. Rachele O. In memory of Jake, our magnificent golden, our "little man" Pei K.